If you want to feel elegant and comfortable on the dance floor during your wedding ceremony, take part in our wedding dance lessons, which we prepared just for you on this special occasion! 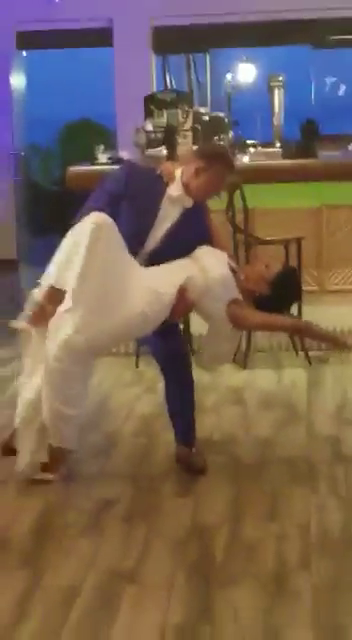 Participating in our individual wedding dance lessons will not only enable you to prepare the choreography for your first wedding dance but also introduce you to other dancing styles, which you can use to impress everyone during the wedding ceremony and all other future occasions. Even if you have no previous experience with dancing and are not sure if you can succeed, our professional teachers, dancers and pedagogues – Cezar & Katerina – will show you everything from the basics and will teach you how to move with the music and lead your partner. They are willing to reveal all the rules and tricks that will make your dance elegant and spectacular. They will advise you on how to make steps, feel comfortable on the dance floor, choose the music etc. We treat each couple individually so that the results come quickly and easily. Don’t wait and book a lesson with Cezar & Katerina, your professional, personal dance instructors .